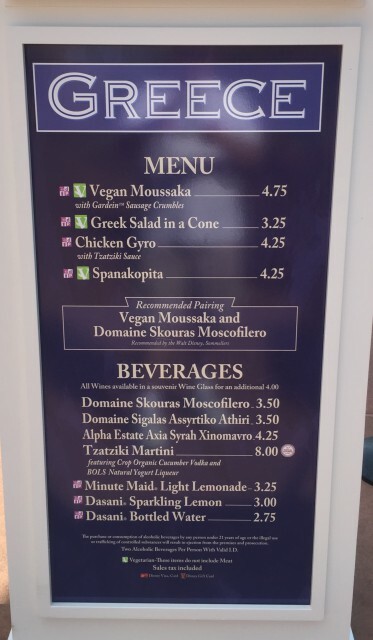 Food & Wine ’15 Menu “Recon”: Greece | It's "All in WDW"
I talked to one Disney Guest that raved about Greece’s Chicken Gyro. I saw one blog that rated their Greek Salad in a Cone as the festival’s worst dish. For us, from the beginning, we decided to pass. Not that they aren’t good offerings, Greece, but the festival is serving way too many better dishes from which to choose. Maybe next year.